In Amazon and Hachette’s ongoing battle over a new contract, Amazon has received most of the blame — and that’s probably not surprising since it’s the party cutting off pre-orders, messing with search and shipping Hachette books with multiweek delays. Authors, in particular, have come out on Hachette’s side — John Green, J. K. Rowling, James Patterson and Malcolm Gladwell (who shall henceforth be known as Explaino the Clown). So nobody’s on Amazon’s side, right? “How can someone condemn a company’s evil, monopolistic, culture- and livelihood-destroying ways … while continuing to make millions of dollars working with that company?” author Barry Eisler — who has self-published, traditionally published and published with Amazon Publishing — wrote at the Guardian. Ebooks are also complicated: I’ve heard some publishers’ contracts with Amazon prohibit them from pulling their ebook files from the site. The answer, he suggested, is to diversify both book buying and book publishing: “Do not be married to a single ecosystem.” Buy your books from multiple sources, and publish them through multiple outlets. This post was updated Friday evening with additional information about the difficulties of removing ebook files from Amazon. The folks who are on Amazon’s side in this are confused. What Amazon is doing is perfectly legal – it’s just not RIGHT. If publishers cave to it, it will eventually drive them out of business. Is that bad for authors? Well, it’s bad for the ones who have contracts they’re happy with, that’s for sure. And it’s definitely bad for all authors who have contracts in the meantime, because they’ll sell fewer books. This dispute, and the results if Hatchette caves, will take money out of authors’ pockets. Actual competition can set the pricing bar for books. Let publishers charge what they want to, and Indies will charge what THEY want to. Authors will be able to move to Indie at their own pace, and the publishers will die a more peaceful death. Yes, I’m assuming the big 5 are going to die either way. They have shown no inclination to change their practices – they offer too little in royalties, and they don’t provide the one thing that modern authors would be willing to pay for – decent marketing. (Only the top authors really get any marketing help these days). All Hatchette wants is the right to set its own prices. Seems pretty simple. There’s really no good side there. Hatchete is anti consumer and has a long history of abusing and exploiting their authors, something Amazon never did. And plenty of authors have almost Stockholm’s syndrome-like relationship with their publishers. They are actually complaining that in this conflict Amazon is selling their books for the price set by publisher (either in printor ebook), instead of Amazon taking a hit and lowering their revenues. Just how screwed up does your perception has to be to complain about that? Hachette could simply sell their books from their own website. Unless they put some ridiculous rules into place where they would refer customers to retailers & wholesalers that make purchases of the books, and promise not to directly compete with them. Hachette did that to themselves. Most authors make very very little money through Amazon (or Createspace) because they provide virtually no marketing. It’s the same model as Etsy. Sounds great because anyone can jump in and do it, but without promotional help, the vast majority of the producers there (and the authors on Amazon’s publishing platform) aren’t making enough each month to go out and have a nice meal. An increasing number of trad published authors are reporting little or no promotional help… basically the publisher requires the author already have a proven following before even signing them up… and then hands them a to-do list that basically is things for the author, rather than the publisher, to do. As for what folks are/are not making on Amazon/Createspace… here’s probably the best real world numbers, at least that are available to those outside trad publishing…. May need to differentiate between large trad publishers and indie/self published authors. Technically, even indie/self are presumably in contracts with Amazon, by virtue of publishing there, but the terms likely differ. Anecdotal evidence is that indies/self publishers can remove their works from sale there at any time. But note I said remove from sale, not remove their files. Because Amazon retains the right to retain the files, to cover the situation of customers needing to re-download works they’ve already purchased. So, may also need to differentiate between remove from sale and remove files. So, to continue… If Hachette opts to not renew with Amazon, when the current contract runs out… Amazon de-lists and stops selling their ebooks… But retains the ebook files to assure back-up/re-download ability of the ebooks by customers who already purchased the ebooks. And if Amazon wants to continue selling Hachette paper books, it has to obtain them through some third party… To whom Hachette can dictate whatever terms they wish. Which makes Amazon subject to Hachette. Finally someone is calling Amazon on their collective BS! This is yet another example where the tech press has done a horrible job covering the topic. Very one-sided and practically a press release of the publisher. Amazon’s position is pro-consumer, so of course there’s a backlash to the nonsense reporting in the tech press. If you want to pay higher prices going forward indefinitely, buy into the nonsense. But if you want lower prices, understand that there may be a temporary bit of difficulty for some consumers. Never mind the destruction of the author’s livelihoods, right? Thanks Laura for covering one of the other sides of this issue! That “mild producer” in the Shatzkin quote should be “milk producer.” He’s referring to an example of an organic milk producer who pulled its product from Wal-Mart until Wal-Mart was willing to meet their asking price. Thanks Robotech! The Shatzkin quotation is updated; I actually do cite Eisler’s piece in my story. I thought there used to be an Anti Combines Act in the US to stop these monopolies from developing? Big business doesn’t always produce the best result. There are. However if you donated enough money, they are just ignored like anti-trust laws. Look around, small businesses are dropping like flies and the big keep getting bigger. This is a huge mistake for the US….well one of many over the last 40 years. For sure. It is the small businesses that provide the employment. Unfortunately, they don’t have the largess to influence the politicians. Same thing here in Canada. I wrote a song about that called “Sold Out” from the album Osaka Time. Have a listen. I’ll send you the lyrics if you are interested. Barnes & Noble choose not to sell books published by Amazon Publishing. So why Amazon should not be allowed to do same to their competitors like Hachette? If Amazon is not happy with Hachette’s proposed terms, Amazon sure have right not only delay shipments of Hachette’s titles, but also to stop selling them at all. That is part of being in business. You can make those executive decisions. So by that logic Apple should when it pleases them, kick Amazon’s Kindle app and all of the Google app’s out of the App Store? After all Amazon and Google are just Squatters in the Apple store. After all executive decisions. Wrong. With this logic Apple could refuse to sign contract with Google (and vice versa) if terms of contract do not please Apple. And with same logic Amazon do not have to sign contract with Hachette if they think it is not in Amazon’s best interest. For example in case if Hachette asked to be paid seventeen million USD for each book sold on Amazon for one cent or more. 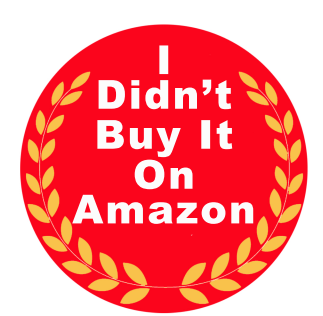 Amazon have all the rights to choose not to sell Hachette products. Google have right not to go into contract with Apple and not sell Apple products. But with your logic Amazon had to sell books from Hachette even if Hachette asks to be paid unfair amount for money for their products. Are you under the impression the publishers including Hatchette are small companies? They are not. They are part of multibillion dollar conglomerates and the publishers have been absorbing other publishers for decades. I love how people like to through the monopoly word around. Apparently there’s a monopoly in the sale of dictionaries, and the prices are way too high for anyone to afford one. I have several dictionaries, some cheap and some expensive. Try to find a book store other than Amazon.com. There isn’t much competition in a lot of other areas now. You aren’t looking very hard then.